It would be great if we all had reliable jobs forever, but that’s not how things work in the real world. The scary truth is, most of us will be fired, let go, terminated, laid off, or whatever gentle euphemism your boss dredges up when telling you you’re sacked. Even if you work for yourself, there’s always the chance that injury or industry changes could have you out of a job in no time. The financially savvy reader will be preparing for this day, even if it never happens to you. 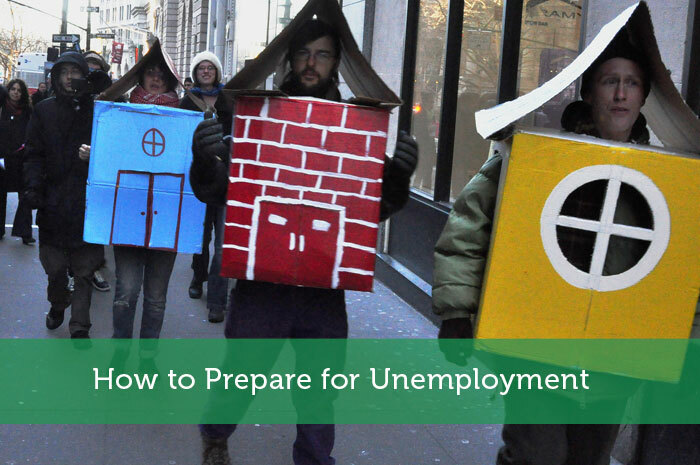 By being prepared, you’ll double-insulate yourself against all sorts of emergencies, so I recommend job loss preparation for everyone. It’s a multi-tiered system that can do nothing but help you, so here goes. Constantly Be Expanding Your Skill Set. If you work in a field you are committed to, always be learning. Be on the cutting edge of new innovations, applications, and resources related to your field of work. Even if you find yourself looking for jobs on trud.co.uk one of these days, you’ll be one of the most prepared of the job hunters, all the more fit for hiring. Have an Emergency Fund. This is one of the most commonly mentioned bits of advice from financial people, but it is very applicable here. If you haven’t already begun, start setting aside some money every week, until you and your family have enough money to live on for 6 months if you should suddenly lose your job. Maybe you’ll never even have to use it. If so, great, you have a lot of savings that you can put into all sorts of different investments, or just keep for the peace of mind. If you don’t have it, a sudden job loss will be a much harder fall. Be Socially Active. Most people change, not just jobs, but entire career fields at least once in their lifetime. If you’re suddenly out of a job, having a wide network of friends and acquaintances will be your biggest support group. A friend can refer you to potential jobs that have not been made public. Loyal individuals can support you practically and emotionally during a very hard time. A lot of people embark on careers and don’t take the time to go out for the drink, to entertain, but the world of careers and world is still inherently social. By being well known and liked, you’ll be more likely to limit your unemployed time. You’ll also enjoy your life more. Have a Side Hustle. Even if your career is going great, always be cultivating your side hustle. This could be anything: freelance work you do on weekends, an Etsy page, a local business you put a few hours into every week. When your side hustle has been working for a few months, even if it’s not bringing in a ton of money, it is something you can stoke into full flame if you happen to lose your main job. Sometimes, a job loss can be a blessing, forcing you to put in the work to a hobby or side job, to make it pay for the rest of your life. So pick something you like, put in the time, and your side hustle might just become your main gig one day. Don’t let a sudden job loss take you by surprise. If you’re prepared, losing your job will just be a bump in the road. But if you’re unprepared, it can be catastrophic. Start preparing today, and you and your family will be able to take an event like this in stride. We’re a single income family, so being prepared for a job loss is pretty high up there on our list of financial priorities. Happy to say we do everything on this list! I cannot stress the importance of having the emergency fund. I went through a job loss a couple of years ago and did not work for 8 months. I was lucky that I had been saving aggressively and was able to survive those months. Even if you don’t get up to 6 months of expenses at least try to have something saved so you don’t have to go into more debt. I totally agree with all of these tips! For me, building a solid emergency fund is the best thing to do especially when if you need to be ready for unemployment. Number two and four is where I’m putting most of my effort. The goal is to eventually get my side income to $3,000 a month, then I’ll quit my job. Right now I’m at ~$1,500. Halfway! I’m working on building out my side hustles, in particular looking to build out a property investment strategy, set up in a company name. My emergency funds need a LOT of work though.